When her town falls under the grip of a ruthless dictator, fifteen-year-old Mira and her family are forced to flee their home country of Lyrian. From a refugee camp across the border they eventually make the tortuous journey north in search of peace and to rebuild their shattered lives. The narrative switches back and forth between present day and some three decades earlier, with the adult Mira struggling to reconcile the experiences suffered by her teenage self and the impact that these had on her family. Her single life in a small snow-bound apartment is a far cry from the home life she knew growing up. “…Pa’s jokes…Ma brewing coffee, the smell of it mixed with fresh bread. And in summer, the scent of jasmine and roses, wafting in from the garden.” But the failing health of her elderly father brings the disparate family together and a terrible secret threatens to be exposed. The complex relationship between siblings; search for a long-lost love; echoes of past and current conflicts going on around the world, Here Casts No Shadow has it all. Beautifully and powerfully written, the story captures the unique and yet ubiquitous experience of displaced people – the sense of tragedy of a country lost to madness, the aching for home. And yet, serious as the subject matter is, the story is engaging, the characters utterly believable and I was drawn into it completely, both intellectually and emotionally. From our comfortable middle-class position this is a keen insight into the plight of refugees. When you strip away all the political game-playing and rhetoric these are just ordinary people, grieving the loss of their homeland and trying to find their place in the world. A must-read book that has earned its place among the giants of the literature of war, Here Casts No Shadow is available to order from your local bookshop, or from www.troubador.co.uk, or Amazon. 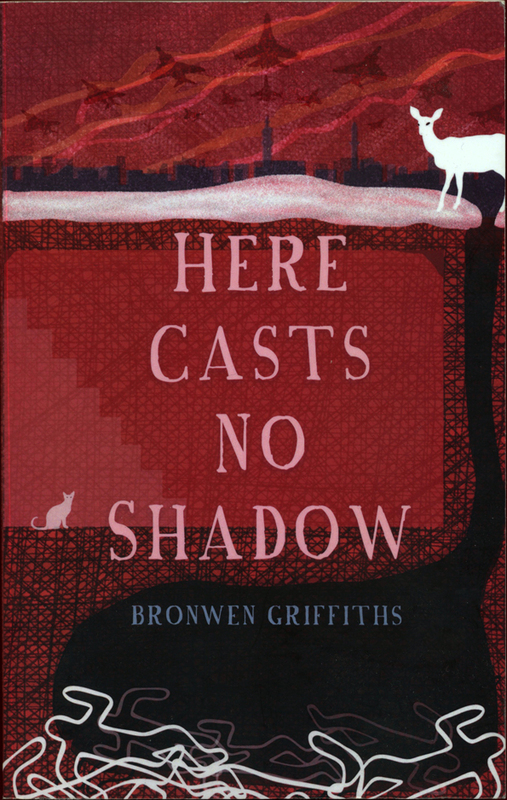 Bronwen Griffiths is the author of one previous novel, A Bird in the House, and a book of flash fiction, Not Here, Not Us – stories of Syria. Bronwen lived in Hastings for fifteen years and now resides on the East Sussex/Kent border. When not writing she loves to garden, sketch and photograph. She is also a social activist for Syria. She is currently writing a new novel set in a fictitious Dungeness. See more of her work at www.bronwengriff.co.uk.